An additional source of biologically active substances of plant origin. It helps improving psychoemotional state in case of general nervous excitation, normalizes sleep, improves digestion. Melissa has calming, spasmolytic, as well as light hypnotic effect. It is used as effective sedative agent. 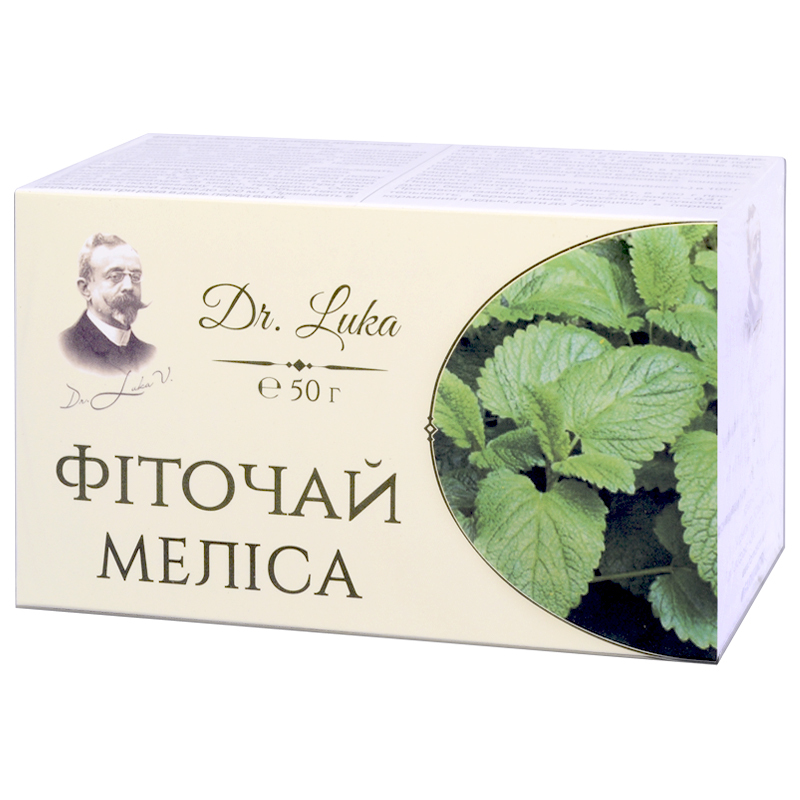 It is indicated in case of general nervous excitation, vegetovascular neurosis, disturbances of sleep (insomnia, early awakening), migraine, neuralgias. Melissa is also used for pain in the heart, tachycardia, irregular heart rhythm, in case of nervous trembling (in the night) and changes in blood pressure under the influence of emotional factors, in case of atherosclerosis, dizziness, tinnitus. Douse 1 tablespoon of Melissa leaves with 200 ml of hot boiled water, cover with a lid, let it infuse on a boiling water bath for 15-20 min, cool down at a room temperature for 45 minutes, strain. Squeeze the rest into the resulting infusion. Drink warm tee thrice a day before meals. Adults and children since the age of 14 take 1/3 glass, children from 12 to 14 – 2 tablespoons, children from 7 to 12 take 1 tablespoon, children from 7 take 1 dessert spoon of the infusion. Term of use is to be agreed with a doctor. Individual sensitivity to certain components, pregnancy, lactation, children under 7. Proteins – 3.7 g, carbohydrates – 7.9 g, fats – 0.4 g.